Microsoft’s own mobile platform, Windows 10 Mobile, might be on its deathbed, but that doesn’t mean the company has given up on its “mobile-first, cloud-first” strategy. Instead, Microsoft is tying Windows 10, Office, and its other solutions as closely as it can to iOS and Android. One of the newest cross-platform features that’s coming in Fall Creators Update, Windows 10 “Continue on PC,” just made its way to a recent Windows Insider preview build, and we took a look at how it works. During its Build 2017 event in March, Microsoft introduced a number of new capabilities that will let iOS and Android users interact with their Windows 10 PCs. The Timeline feature that will let users go back in time and pick up apps and tasks they were previously working on won’t be making it to Fall Creators Update. And, there’s no word yet on the cloud clipboard, which will let users copy on one device and paste on another. But the “Continue on PC” feature, which lets users continue a web browsing session across platforms, is here. Microsoft introduced the feature in Windows Insider preview build 16251, and Android support came first. Now, iOS support has been added as well. 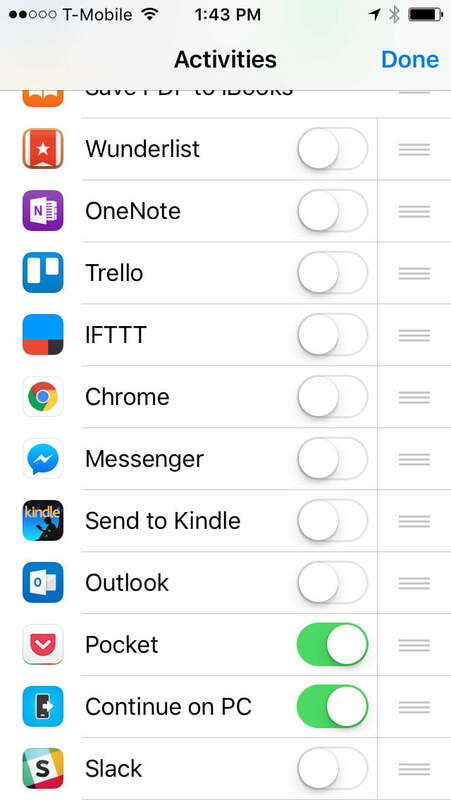 While the feature is a little more convoluted than Apple’s Handoff feature and it only supports browsing, it’s nevertheless a nice glimpse into Microsoft’s plans to tie all of a user’s platforms together. 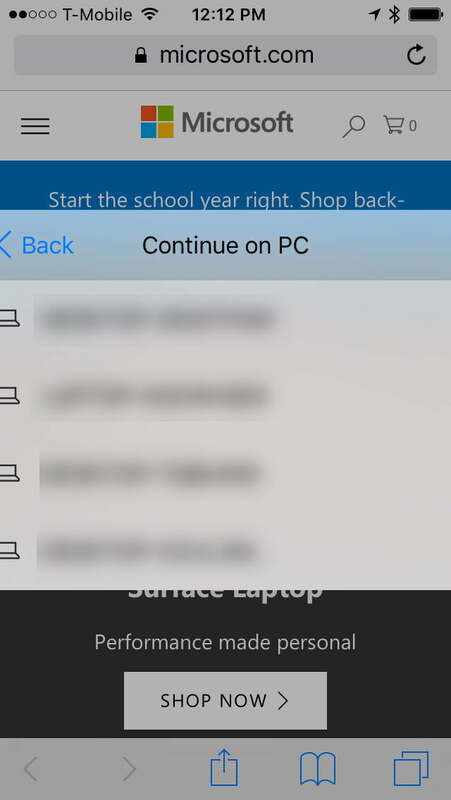 Setting up the “Continue on PC” feature is similar whether you’re using an Android smartphone or an iPhone. We’re going to illustrate the process using iOS. The first step is to make sure that you’re running Windows Insider build 16251 or later. Then simply go to Settings > Phone, then click “Add a phone.” Notice that once you’ve linked a phone, it will show up on this page. 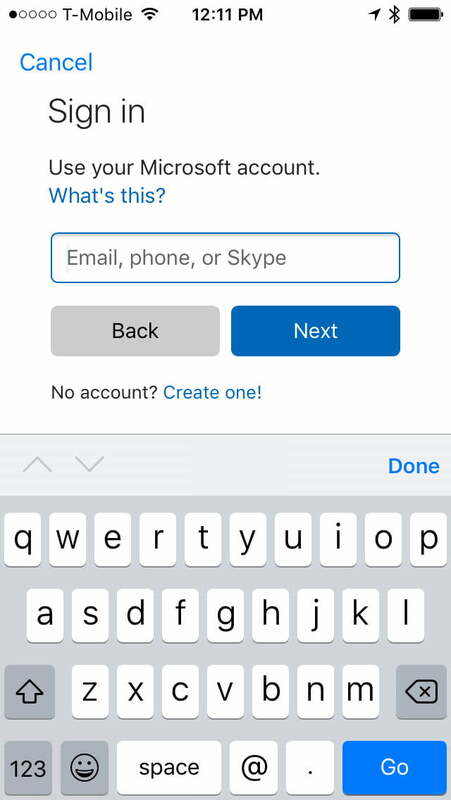 Enter your phone’s number in the dialogue box, and hit Send. 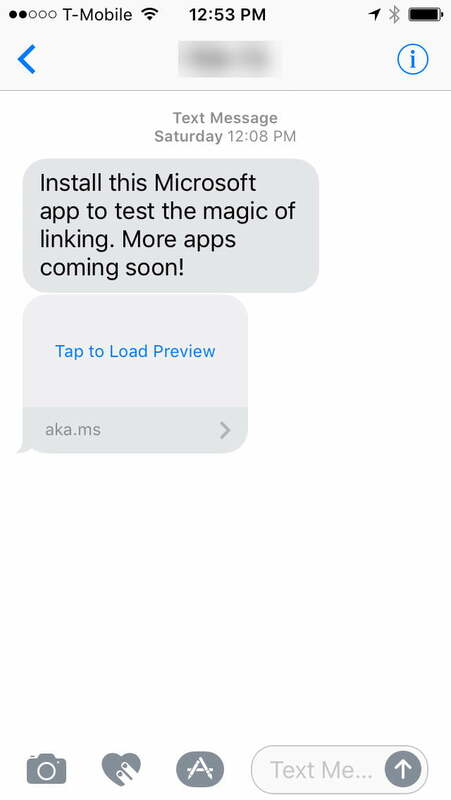 On your phone, you’ll receive a link to the iOS App Store (or the Google Play Store on an Android smartphone) via SMS. Click on the link to open the store and then install the app. 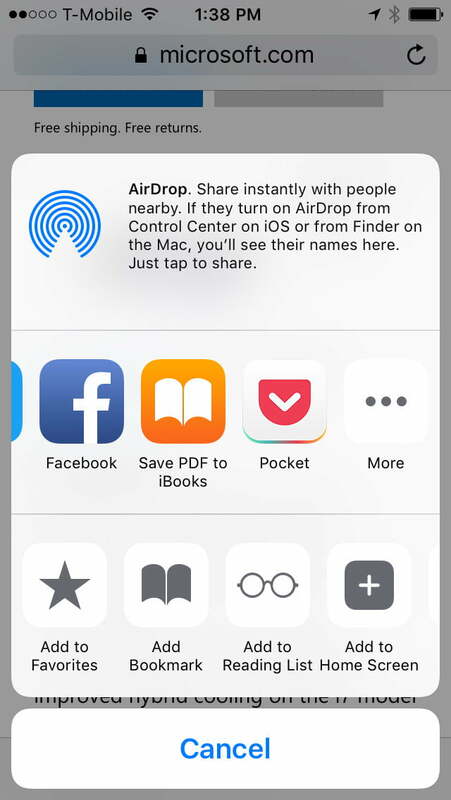 Once the app is installed, you’ll want to turn it on in your share list. Open Safari and browse to a page. Then select the share button, and tap More in the share dialogue. Scroll down the list of Activities, and toggle “Continue on PC” to on. Then go back to your web page. Next, click the share button again to open the share dialogue and then select “Continue on PC.” A dialogue box will open, asking if you want to “Continue now” or “Continue later.” Select either one for now. You’ll need to sign into your Microsoft Account to continue. Make sure to sign into the same account that you’re using on your Windows 10 Insider PC. 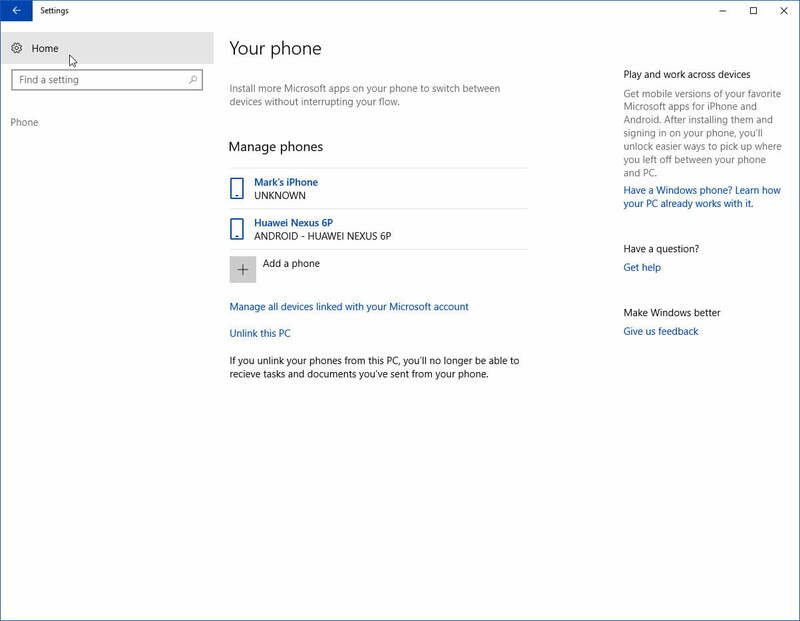 That will link this iPhone to every PC that’s linked to the same Windows Account. Once that’s done, you’ll be presented with a list of PCs where you can send the web page. Note that only PCs that are running the Windows Insider build will actually receive the “Continue on PC” connection. Make note of the host name of your Windows Insider PC, and then select that PC from the list. 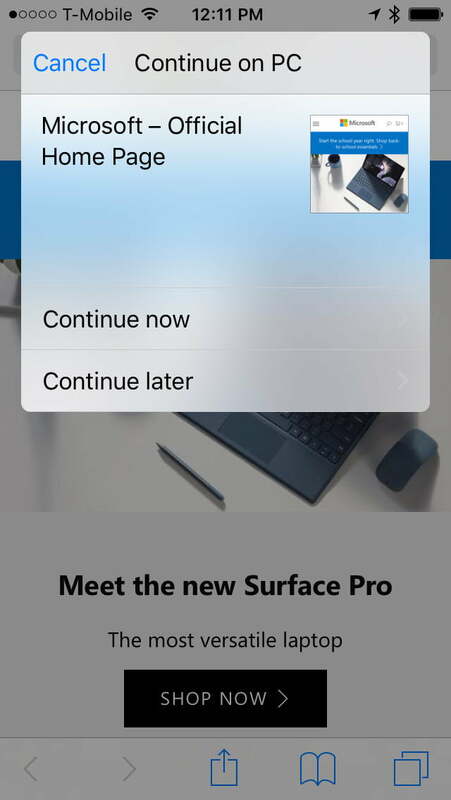 If you selected “Continue now,” then your PC will instantly open the web page in the Microsoft Edge browser. If you selected “Continue later,” then you’ll receive a notification on that PC. If you don’t click on the notification immediately, it will slide into the Action Center and remain there until you act on it or close it. 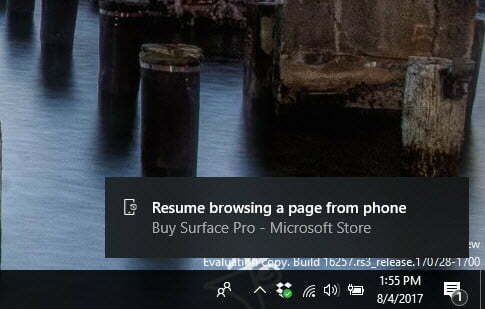 Clicking on the notification will open the web page in Edge. That’s all there is to it. It’s a bit of a convoluted process, and it’s limited to opening web pages for now, but we can imagine the same process working for other apps and document types as well. Note that it’s a one-way street for now between a smartphone and a PC — you can’t go in the opposite direction. As we mentioned earlier, Microsoft spent considerable time at Build 2017 talking about the various ways it will be tying Windows 10 to iOS and Android devices. 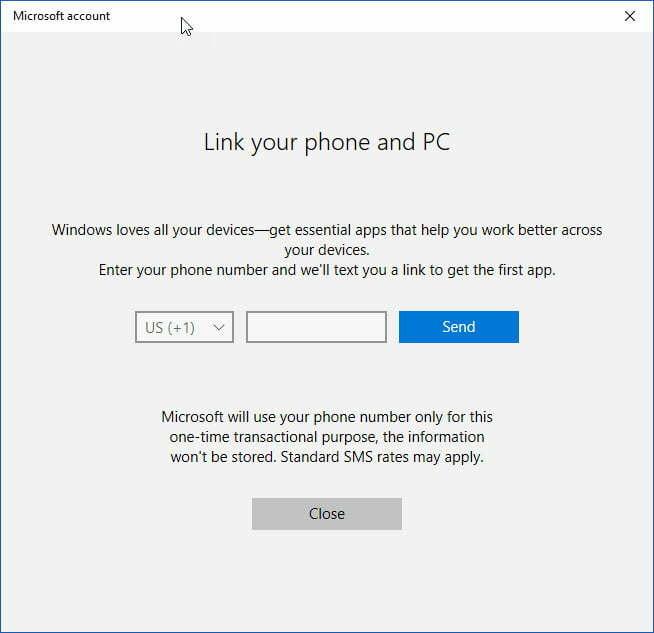 The “Continue on PC” feature is limited for now, but at the very least it provides a glimpse into Microsoft’s future plans for integrating Windows 10 with iOS and Android. If you’re a Windows Insider, you can set it up and give it a try immediately, and everyone else should get access to the new feature when Windows 10 Fall Creators Update is released later this year.